The Voorhees Family of Maryland, with Linda Voorhees in the center (in dark blue) of her siblings. Thanks to Linda for permission to use this photograph. Time Travel? Six Degrees of Separation? Reincarnation and traveling through life with your tribe? God’s miracle? In this mini-series of blog posts, I am exploring connections I found, especially with my neighbors, as I researched my family tree. Can you imagine what my neighbors thought as I began to say to more and more of them, “I think we might be kin to each other!” LOL Once maybe, but five times!? There are many other connections that coincide with these. It raises questions, makes me think of things I’ve only read about before! The VanVoorhees family was originally from the Netherlands. 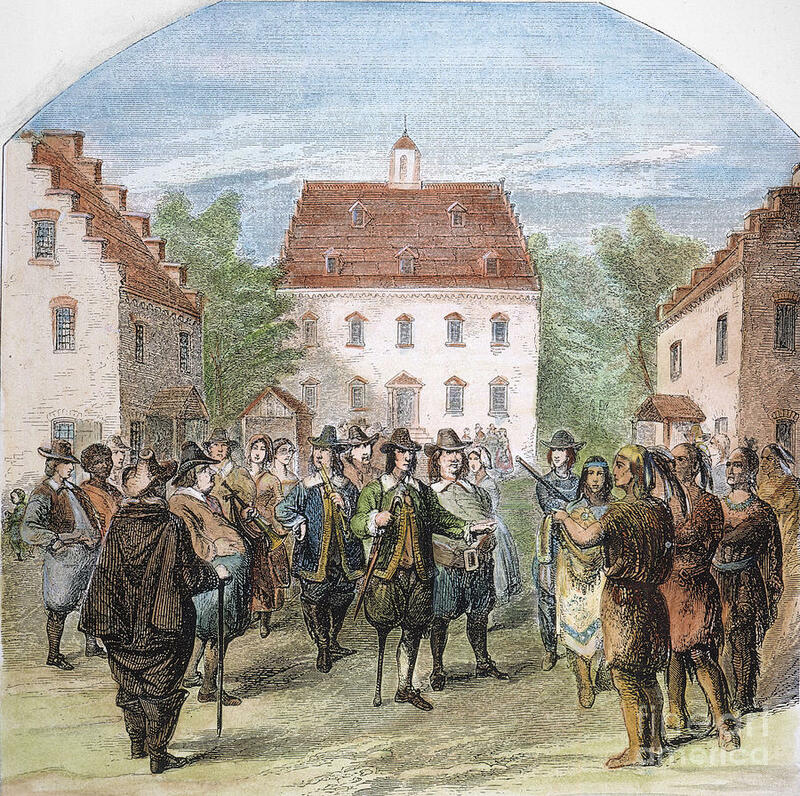 They came to this country of America by at least 1660– when Steven Coerte VanVoorhees, born in Hees, Drenthe, Holland in 1600, came to New Amsterdam, New York. The name was shortened to Voorhees in America, with some families changing it to Voorus, Vorhis, and other spellings. My introduction to the Voorhees family came in 2004, when I moved into a new neighborhood in North Carolina, USA, and Linda Voorhees and her husband Jerry McLaughlin lived across the street from me. They had retired and moved from the Washington DC area, Maryland to be specific. The day we first saw our perspective new house, we met Jerry McLaughlin. He was in his yard working, and we asked him a few questions about the neighborhood. His warm welcome, best wishes and most of all, his incredibly charming laugh…stayed with me and made me feel like we had found the place we were supposed to be. Little did I know how much at “home” this neighborhood would become. Linda and I became good friends, she is one of the smartest, most giving, kind, and friendly people you could ever meet! Besides that, her past was so very interesting in that she had worked with congressmen, for the World Bank, and had an office in the White House when Bill and Hillary Clinton were there! We became good gardening friends as well and she was President of our local gardening club. We became Red Hatters together also, and had so much shared fun! 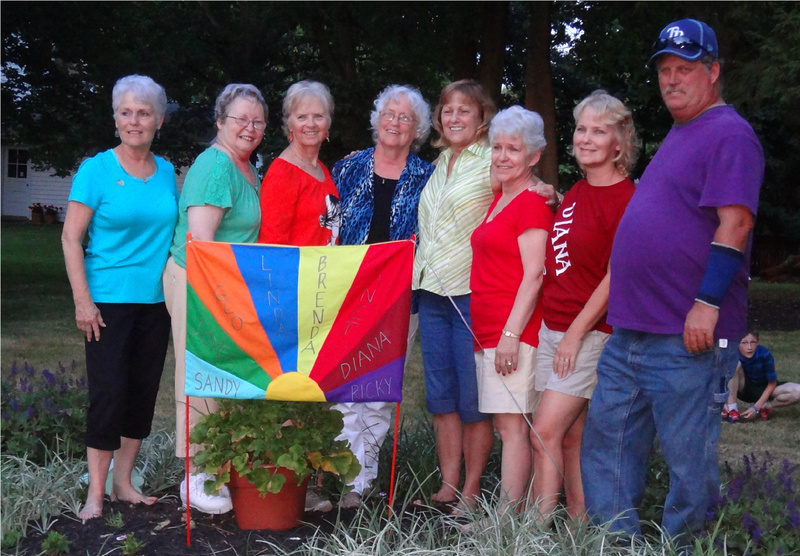 I was struck by the fact that she had six sisters and one brother! My mother had been one of six sisters and one brother as well, it intrigued me how close to each other both families were. It wasn’t until 2011 that I began to explore the world of genealogy and develop my family tree. I was truly a newbie, and knew very little about my ancestors when I started. First, I began to see the name McLaughlin crisscrossing my family tree! I even asked Jerry to let me develop a family tree for him so that I could tell if we connected! He already had a lot of family information, but said “sure”. That exploration connected with my Hogue family of Scottish descent, although Jerry was Irish. A lot of Scots of course, settled in Ireland for a period of time before coming to America. I was exploring and cataloging my Hogue family who came to Pennsylvania in 1747 with some moving to Ohio shortly after 1800. I came across the most wonderful book titled The Story of the Dining Fork, by Joseph T. Harrison, copyright, 1927. The Dining Fork was a valley near a branch of the Tuscarawas River in the southern part of Carroll County and northern part of Harrison County, Ohio. Harrison writes this story in such a way that it covers many historical events of the nineteenth century, at the same time, he writes so personally of the citizens and neighbors that you feel you get to know them a bit! I was intrigued and read most of the book, available from the card catalog on ancestry.com. Imagine my shock and surprise when I discovered that he wrote about neighbors there, Hogues and Voorhees! Wow! Not only were they neighbors, but they were teachers and more at the brand new Scio College built in the town, later to become a Methodist college. Linda and I are both Methodists. It took some work to link these Voorhees to Linda’s family and those particular Hogues to mine! Thanks to Linda’s helping me develop a tree of her family, and many Hogue relatives helping me with my research, we were able to determine, that the Jacob Voorhees who moved to Ohio from New Jersey, was Linda’s third cousin! Robert S. Hogue who also taught at Scio College, was not my 4th great uncle as I had first thought , but my own cousin as well! They lived and worked together in the late 1860’s, at least 155 years ago! Now Linda and I are friends in 2015. But that was just the first time I found our families in close proximity! Continuing to work closely with a group of family researchers, I met a woman named Dorothy Hogg Moore from Pennsylvania. In studying her family tree, and how our Hoggs/Hogues were related, I made a startling discovery–several in fact. She was a Voorhees descendant! Another connection! Her family had changed the spelling to Voorus, but her line tracked right back to Garret Voorhees, born 10 April, 1761 in Monmouth, New Jersey, USA, Linda’s fourth great grandfather! That made Linda and Dorothy fifth cousins! The Voorus sisters of Pennsylvania. 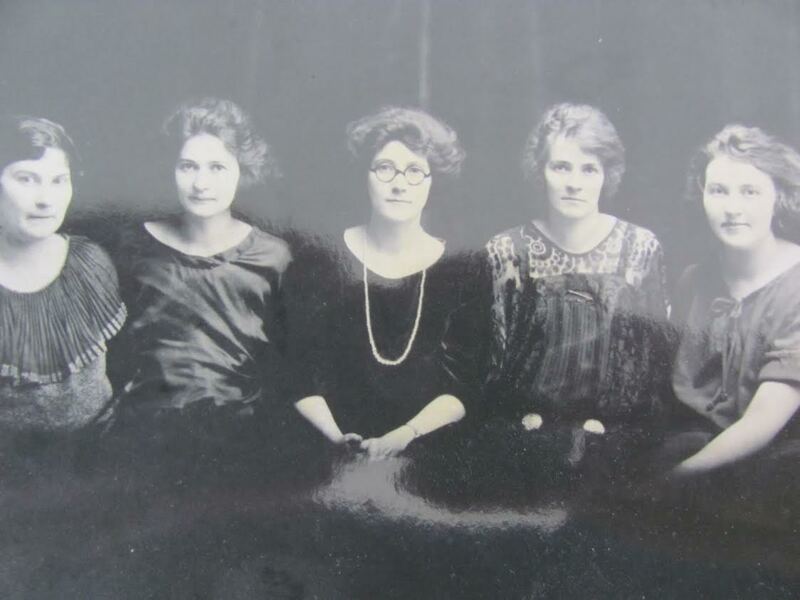 Dorothy Voorus, fourth from left, is the one who imarried Calvin Hogg, and is the namesake for Dorothy Hogg Moore. thanks to Dorothy H. Moore for permission to use this photograph. In Dorothy’s tree also, I discovered another amazing thing. Now, the Hogues who are on my father’s side of the family, were the connection between the Voorhees and me, but here were the Spanglers from my mother’s family—German descent Spanglers, in the family with these Hoggs and Voorus/Voorhees families! Her Spanglers definitely traced back to my Spangler ancestors! We were kin through the Hogues and the Spanglers, and she and Linda through the Voorhees. The Spanglers joined the Voorus’s in the mid 1800’s, and the Voorus’s joined the Hoggs/Hogues around the turn of the century to 1900, so we’re talking interactions again about 100 to 150 years ago! All in one family tree with a neighbor. But I wasn’t finished yet. My maiden name was Helen Spear Youngblood. I was tracking all my major lines back as far as I could, so the Spears of course were one of those lines. In the Spear/Spier line, I have surnames Banta, Vreeland, and VanSwol among others. It wasn’t long before I ran into the surname Voorhees again! 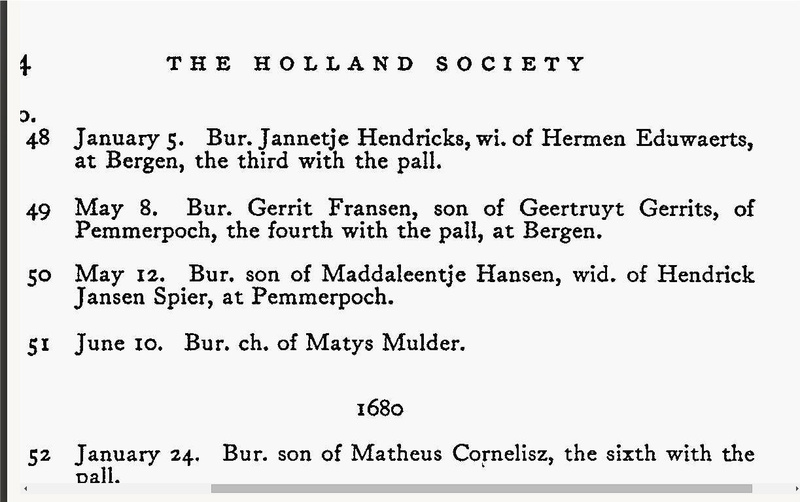 This time it showed that my 8th great-grandfather, Henrich Jansen Spier, 1619-1679, and Linda’s 9th great-grandfather, Steven Coerte VanVoorhees, b,1600 in Hees, Drenthe, Holland, Death 16 Feb 1684 in Flatlands, Kings, New York, United States, were both in New Amsterdam together. In the mid 1600’s, it’s likely they knew each other! As I explored this time era with this family further, I found more connections with Linda’s family! Look what I wrote her via email late one night as I was researching –this connection takes us back 250 years! Hi Linda darlin, As you may have seen, I just wrote a blog post yesterday on an ancestor from the Netherlands, Magdelina Van Swol who married one of my Spiers, my maiden name was Helen Spear Youngblood, same line of Spears/Spiers. Anyway, the Spiers, VanSwols, and Bantas are all contemporaries (in the mid 1600’s!) in my line, so imagine my surprise when I saw Magdalena VanVoorhees married to one of my Banta cousins! Wow! 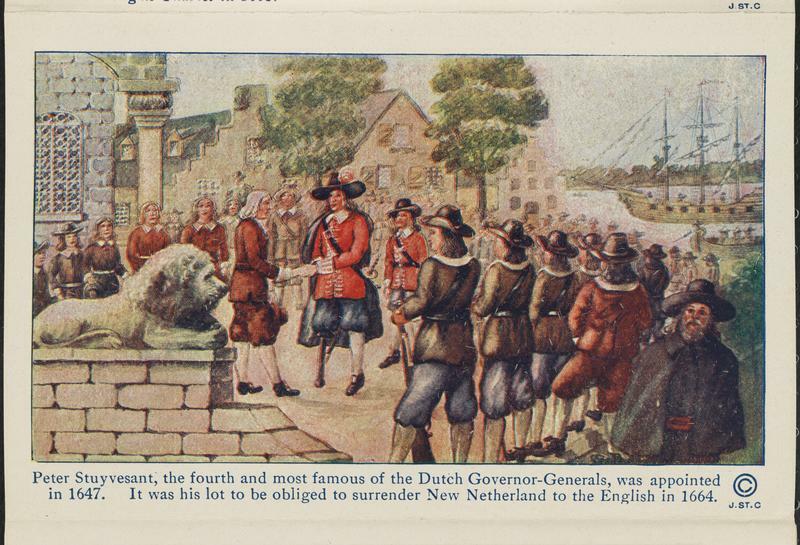 They both lived in Bergen, NJ, and went to the Dutch Reformed Church there. Magdalena (1739 – 1810)) is your 2nd cousin, 8x removed (8 generations removed). Her husband Albert Hendrickse Banta, 1728-1810, is my 2nd cousin, 7x removed! that makes their children our mutual 3rd cousins, removed 7x for you, and 6x for me! LOL We keep crossing paths in this life, we were meant to be friends and neighbors I think! Awesome! Linda and I became neighbors in 2004, we had never met before. I had never heard the name Voorhees as far as I know. Then in 2011, I started doing genealogy and wow, Linda’s ancestors and mine certainly seem to have traveled through time together! How can we explain this? How interesting that Linda was not my only neighbor with whom this happened! In the next couple posts, I’ll outline how I found that at least four more of my neighbors’ ancestors and my ancestors knew each other! I’m thinking of Linda’s sending me this definition of coincidence–“a miracle where God’s presence is invisible.” That idea speaks to me! We might also consider, Six Degrees of Separation, Reincarnation, and Serendipity! LOL I love my neighbors, and my family, and isn’t genealogical research fun! Categories: Banta family, Genealogy, Hogue/Hoge/Hogg family posts, Interesting Phenomena in Our Family Trees, Spangler Family posts, Spear/Speer/Spier Family Posts, Van Swol family possts, Voorhees Family, Vreeland family posts | Tags: Genealogy, Hogg/Hogue, Reincarnation, Six Degrees of Separation, Spear/Spier, Time Travel, Voorhees, Voorus | Permalink.